Kegler's Sports Bar & Lounge, known by locals as KSB, serves up gallons of grog and great pub grub to Morgantown's finest. Award winning wings, and 80" TV, and fast and friendly service make Kegler's the place to be any night of the week. Enjoy delectable drinks, karaoke, and Pay-Per-View and UFC events after eight every day. Adjacent to the Suburban Lanes Bowling Center, Kegler's has loads of fun for everyone. Mario's Fishbowl is a historic bar serving up frosty beer in "fishbowl" sized glasses. A casual and exciting atmosphere hosting a variety of drinking and eating competitions, Mario's Fishbowl is a pillar of the community and a hotspot for WVU students. "Bring your family. Bring your party. Don't forget to bring your passion for great food, good fun, and a hit-the-spot cold one." Serving up beer, bar bites, and plenty of football, Buffalo Wild WingsÂ® is a hangout any college student would love. Grab your favorite flavor of authentic New York wings, a nice cold glass of your favorite brew, and pull up a front row seat to enjoy kickoff on wall to wall flat screen TVs. Fresh Mexican Eats is the name of the game at QDOBA, a place where distinctive decor, full blast flavor, and a respect for authenticity collide to give you a unique dining experience. Affordable eats and an exciting atmosphere make QDOBA the perfect option for college students. Morgantown's best retail and restaurants await at Suncrest Towne Center, the premier destination for shopping, dining, and more. Just a short distance from West Virginia University, Suncrest Towne Center is a great place for students to enjoy a little retail therapy, grab a bite to eat, or even find a job that fits with their schedule. 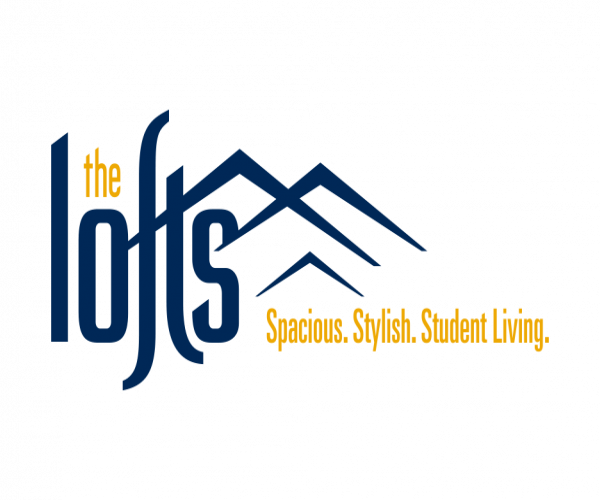 Located just four miles from West Virginia University, The Lofts is your destination for the perfect blend of student housing convenience and off-campus excitement. Our community is close to it all, so you can enjoy premium shopping, dining, entertainment, and local hotspots and still pursue your education. The Lofts offers a shuttle to campus so you never have to worry about being late to class because you were trying to find parking. Spend those summer breaks cheering on the West Virginia Black Bears baseball team at Monongalia County Ballpark, just 15 minutes away. The Pines Country Club is a great place to play a round of golf, and nearby shopping includes Suncrest Towne Center. Find out what makes our neighborhood great for students. Visit The Lofts today!